The beheading of a Canadian hostage by the notorious Abu Sayyaf Group has highlighted systemic failures within the Philippines signaling little change since Galib Andang, alias Commander Robot, first started snatching foreign hostages more than 17 years ago. Robot – an unlikely but very real alias – died violently in prison in 2005 after he ordered a spate of kidnappings of foreign tourists from the holiday resorts in nearby East Malaysia. It’s an issue which persists to this day. The death of 68-year-old John Ridsdel, a former mining executive, should also serve as a political black eye for Canadian Prime Minister Justine Trudeau whose government is always keen to paint a pretty picture of itself but has been found wanting in this area of foreign affairs. Trudeau, a fresh-faced media darling, also likes to remind his audience that he once boxed and enjoys getting into the ring for a sparring session when the cameras are recording. He said the killing was unnecessary and “an act of coldblooded murder,” which carried about as much weight as saying Adolph Hitler was a bad man. He has also promised to send in the mounties whose reputation matters little in this part of the world. “Canada condemns without reservation the brutality of the hostage-takers and this unnecessary death. This was an act of cold-blooded murder and responsibility rests squarely with the terrorist group who took him hostage,” Trudeau told reporters. Ridsdel’s head was found in a gutter after the Islamic militants took him and three others – Canadian, Robert Hall; Norwegian, Kjartan Sekkingstad; and a Philippine woman, Marites Flor — from a tourist resort in September. Under the previous administration of Stephen Harper, Canada effectively jettisoned all consular activity in Southeast Asia because he decided it was too expensive for his cash-strapped government. He was re-elected and spent a decade in office. Instead of taking direct care of its own citizens the bare essentials of Canadian consular services were effectively outsourced to Australian, New Zealand and U.S. embassies scattered around the region. No one seemed to mind too much, including Trudeau. But the impact of Harper’s foreign policies was real as the friends and family of Dave Walker would find out following his death in Cambodia in early 2014. As far as we know, the results of an autopsy have not been released amid claims and counterclaims that investigations into a possible murder were unprofessional. Put simply, much like Ridsel, Walker, a Canadian author with a military background, died alone and no one among the authorities back home seemed to care. Such attitudes also seem to run counter to the traditional reputation of Canada as a caring nation. It’s an image which Trudeau wants to revive in the aftermath of Harper and the harsh years of austerity his right wing government imposed. But Canada is still a weak link in terms of diplomacy in Southeast Asia and its citizens may have paid the price. It’s also a major issue given Canada’s membership in the Five Eyes club, the intelligence alliance that also includes Australia, New Zealand, the United Kingdom, and the United States and was born out of the English language countries who fought in World War II. Former Abu Sayyaf hostage Warren Rodwell knows this territory well and says a failure to negotiate had resulted in Ridsdel’s death, regardless of Canadian insistence that ransom demands will not be paid. Though other countries have similar policies, this does not equate to an automatic death sentence. He also said his death raises serious questions about funding for the Philippine military by the United States which was suppose to be used to fight groups like the Abu Sayyaf – long branded a terrorist outfit by Washington. “The big question has to be asked: Where is all the money the Americans have been giving? There have been suggestions that not all the money is going to the military,” he said. This augurs badly for Hall, the remaining Canadian hostage, as well as Trudeau. 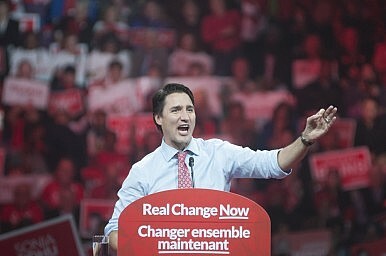 Though the Canadian leader has proven himself as competent with the gloves on, inside a boxing ring when the cameras are nearby, he has yet to show the same mettle behind closed doors when the gloves come off.